The J Leaded Chip Carrier (CQFJ) provides thermal performance in high heat dissipation applications. The package meets exceptional planarity with a low co-efficient of thermal expansion. 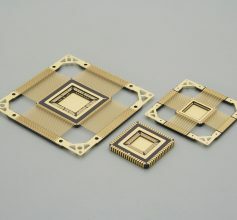 The J package is expand and contract during heating and cooling cycles minimizing undue stress on the package to PCB connection.